1940s: Map of South America. Dark areas appear across map, mostly northern region. Moving along shore in water, where large tree branches hand down. 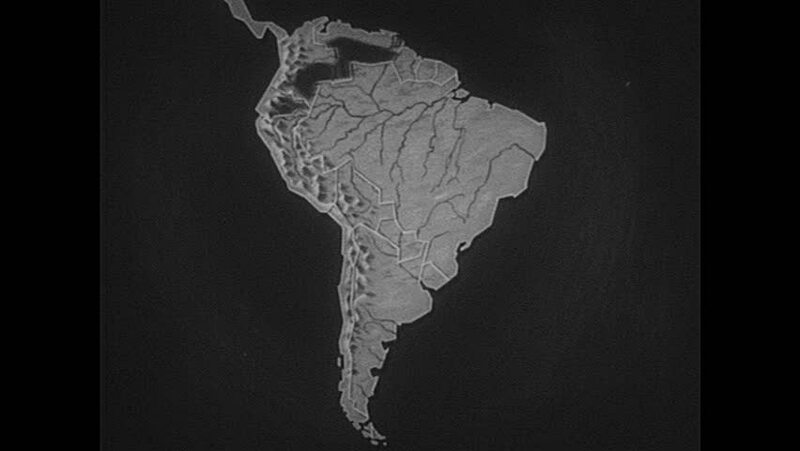 hd00:271940s: Illustrated map of South America. Roads appear on map. Long highways appear on map. Shipping lanes appear in oceans of map. hd00:203D Animation rotation of symbol of South America map from glass. Animation of seamless loop.